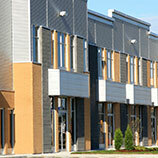 In this blog, we talked about buying apartment complexes and the benefits that come with them. 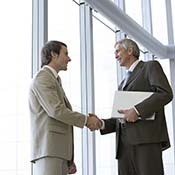 Now that you have decided to go ahead and buy that complex, you will need someone that can help keep you complex up and running to the best of its ability. There are a lot of things that go into the upkeep of your commercial property and it can get pretty overwhelming at times. When you have a property management company on your side, the whole operation seems to run more smoothly. When you have a property management company, your tenants have someone that they can get in touch with day or night. If they have an issue with another tenant being too noisy or if there is a flood in the basement, there is someone that can get help out to them as soon as possible. This helps keep the tenants from leaving when their lease is up as well. If you have someone to come out and mow your grass or do the electrical or other trades that need to access the building or any of the units, it is nice to have a property management company that can meet them at the entrance and let them in instead of doing it yourself. We can also come out and inspect the grounds for you to see if there is a need for any repairs. When you are trying to operate your commercial property, there is no way that you can do everything by yourself. You will want someone you can depend on to help you when you are not able to complete the task yourself. 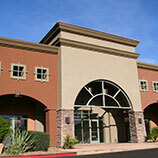 For the best commercial property management company in the Santa Rosa, CA area, call North Bay Property Advisors.